Since these numbers have come out, though, DUI laws have changed radically, and the NHTSA found itself in need of revisiting the problem. While the most recent data set that they had dependable access to was only from 2011, the statistics revealed several noteworthy changes. Chief among them for the state of New Hampshire was a considerable decline in the refusal rate in our state, dropping from 81% down to 72%. While still well above the national average, the drop brought New Hampshire into second place, behind Florida, which more than doubled its refusal rate, going from 40% in 2005 up to 82% in 2011. Despite New Hampshire’s fall in BAC refusal rates, the national average climbed slightly, from 22.4% in 2005, up to 24% in 2011. 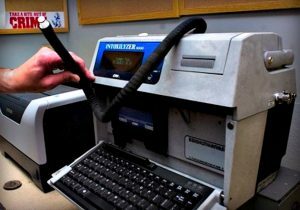 One of the likely causes for this rise in BAC refusal rates is the increasingly draconian penalties for drunk driving. With penalties that have gotten more and more severe over recent years, more and more people are likely to accept the automatic license suspension that comes with a BAC test refusal, rather than risk giving valuable evidence to the state for a DUI prosecution. If you have been pulled over, arrested, and charged for drunk driving in the state of New Hampshire, the penalties that you could face if convicted are significant. You could face a hefty fine, a lengthy license suspension, and even a stint in jail. Avoiding these penalties at all costs is crucial. This is why you need an experienced DUI-defense attorney in New Hampshire. The DUI attorneys at Tenn And Tenn have represented numerous people charged with drunk driving throughout New Hampshire over their 20 years in the business, and have amassed a long list of successes. Contact Tenn and Tenn online.